Martha Schneider was born in Homburg Erbag Saar on 6 June 1927. She entered the Congregation as a Postulant in May 1949 and made her Profession on 5 January 1952. She came to South Africa and began her studies in 1952 in Graaff-Reinet where she also taught. In 1956 she was assigned as Principal to St Agnes Convent School in Welkom. She subsequently was Principal and taught at the St Pius Convent School in East London and Our Lady of Mercy Convent in Springs. She taught at the Convent School in Ermelo, Holy Rosary Convent School in Cradock, the Convent School in Belgravia where she was also Principal and Maria Hilf Convent and Noviciate in Woodlands. Liesolette Maria Wehr was born in Berlin on 14 September 1923. She entered the Congregation as a Candidate in March 1952 and made her Profession on 3 February 1954. She came to South Africa where, in 1956, she began general nursing and radiography at the Mater Dei Hospital in East London and completing her studies at St Augustine’s Hospital in Durban. She worked as nurse and radiographer also at St Catherine’s Nursing Home, Queenstown, St Mary’s Maternity Home, Springs and Glen Grey Mission Hospital, Lady Frere before returning to Germany in 1978. Here she continued her work in Schlehdorf, Cologne, Prouille and Ottilienkolleg before retiring at St Immaculata Convent. Walburga Wurm was born in Gilching, Bavaria, Germany on 28 December 1912. She entered the Congregation at St Immaculata Convent in Schlehdorf in August 1936 and made her Profession on 28 June 1938. In the same year she began her work in South Africa at the Convent in Graaff Reinet where she remained until 1948 when she was assigned to Umlamli Mission Hospital in Sterkspruit. Here she remained until 1976 when she was sent to take up nursing at the Mater Infirmorum Convent Sanatorium. She finally retired at Emmaus Convent in 1992. Henriette Katharina Walter was born in Dusseldorf, Germany on 20 March 1925. She entered the Congregation as a Candidate at St Immaculata Convent, Schlehdorf 18 July 1949 and made her Profession on 12 March 1952. A lover of music, she was well taught in her youth by a teacher who lived in the family home and on her arrival in South Africa she began to teach her beloved subject, imparting her knowledge of piano, organ, violin and other instruments to the pupils at the various schools which she served. Among these was the Convent of Our Lady of Mercy in Springs, St Thomas Aquinas Convent School in Witbank, the Convent of the Sacred Heart in Klerksdorp and the Convent of the Sacred Heart, Motherhouse in King William’s Town. Josefa Natterer was born in Illerbeuren, Germany, on 1 May 1922. She entered the Congregation as a Candidate at St Joseph Community, Gailsdorf, Germany in February 1949 and made her Profession on 3 February 1951. She remained in Germany, working at the various Convents, including the Convent of St Jordan, Heilige Kreuz Priory, and St Immaculata Convent in Schlehdorf. Christel Theissen was born in Haaren/Aachen, Germany, on 21 August 1939. She entered the Congregation as a Postulant at St Immaculata Convent, Schlehdorf, Germany in January1960 and made her Profession on 5 August 1961. From 1962 to 1978 she worked in South Africa, teaching High School classes at the Convent Schools in Fort Beaufort, East London, Cradock and Welkom. In 1979 she returned to Germany where she continued in Pastoral Ministry at the various Convent Schools there. 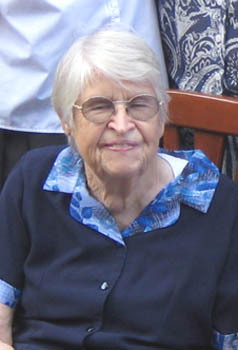 Sr Ewalda (Sophie) Spies died 18 February 2017 at St Mary's Convent, Hyde Park, Johannesburg. 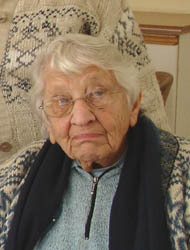 Berta Spies was born in Homburg Erbag Saar on 28 March 1920. She entered the Congregation at St Immaculata Convent in Schlehdorf in April 1939. In 1952 she came to South Africa where she taught music at Convents in Potchefstroom, the Motherhouse, Witbank, Cradock and Brakpan. Sr Simona Entius died 7 April 2017 at Emmaus Convent, East London. 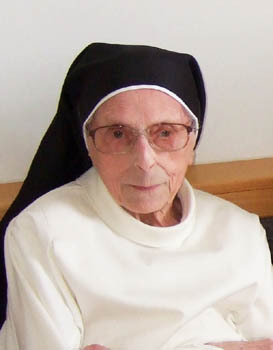 Sr Rufina Hollweck died 11 May 2017 at Emmaus Convent, East London aged 91. Maria Hollweck was born in Unterried, Germany on 2 November 1925. She entered the Congregation in 1947 at St Immaculata Convent in October 1947 and made her Profession in February 1950. She came to South Africa in 1950 and taught at the Motherhouse and at the schools in Cradock, Fort Beaufort, Izeli, East London, Middelburg CP,. 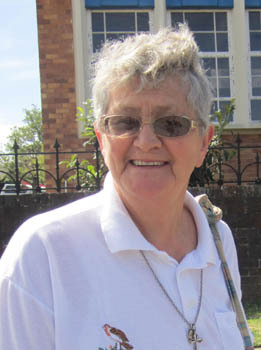 She retired at Emmaus Convent, East London in 2004. 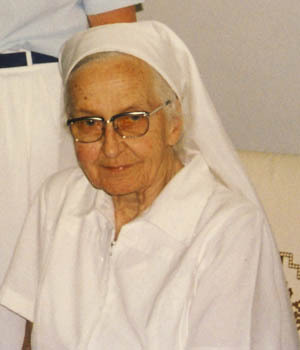 Sr Salesia Heseding died 11 May 2017 at St Immaculata Convent, Schlehdorf, Germany, aged 90. Maria Heseding was born in Lohne, Oldenburg, Germany on 23 January 1927. She entered the Congregation in September 1953 at St Immaculata Convent and made her Profession on 5 January 1956. 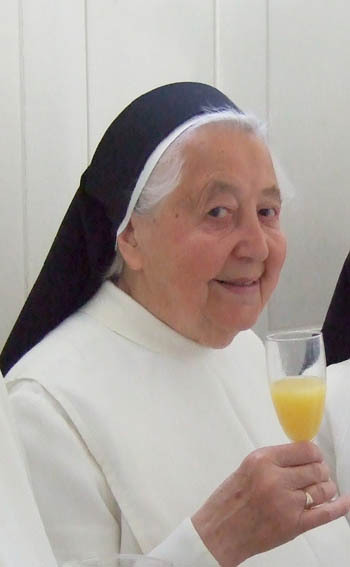 Sr Marie-Josee Beerens died 30 August 2017 at Albertusconvent, Venlo in Holland. Antonia Gerarde Johanna Beerens was born in Lohne, Oldenburg, Germany on 4 August 1934. 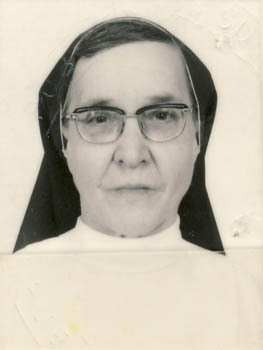 She entered the Congregation in October 1957 at Albertushof Convent in Venlo and made her Profession in 15 August 1959. 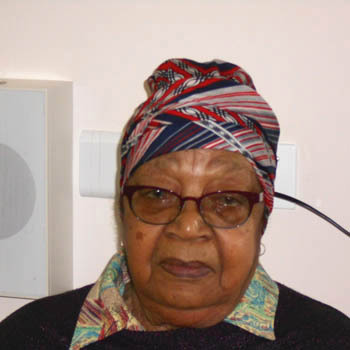 She nursed in various Institutions including Marydale Nursing Home in King William’s Town, Mater Dei Nursing Home in East London, Glen Grey Mission Hospital near Lady Frere, St Mary’s Maternity Home in Springs and the Mission at Marapyane. 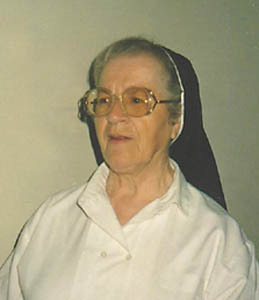 She served as Superior at the Motherhouse. She returned to Venlo in 2005. 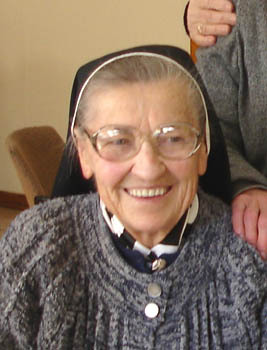 Sr Liguori Töns died 9 September 2017 at St Mary's Convent, Hyde Park, Johannesburg. Johanna Gerarda Töns was born in Rotterdam, Holland on 16 July 1925. 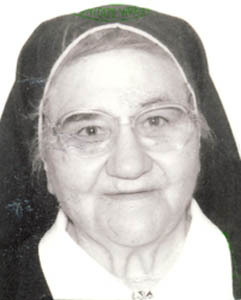 She entered the Congregation in August 1946 at Albertushof Convent in Venlo and made her Profession on 11 May 1948. She taught in the Convent Schools in Belgravia, Graaff-Reinet and at St Vincent School for the Deaf in Melrose where she served as Superior for a number of years. Sr Liguori retired to Bethany Convent in 2001 and moved to St Mary’s Convent when Bethany Convent closed in 2011. Maureen Ho was born in Germiston, South Africa on 23 February 1945. She entered the Congregation as a Postulant in February 1967 at the Convent of the Sacred Heart in King William’s Town and made her Profession on 3 January 1970. In 1969 on leaving the Motherhouse, Sr Maureen Ho spent time at St Vincent School for the Deaf in Melrose and San Salvador Home in Hyde Park as House Mother to the Boarders before moving to Lourdes Convent to take up Nurses’ Training. In 1977 she resumed her work at San Salvador Home as Boarders’ Mother for several years until, in 1983, she moved to the Mater Dei Nursing Home in East London to take up nursing. In 1996 Sr Maureen moved to Emmaus Convent to undertake nursing in the Frailcare. Here she remained and worked until her illness and death. Hermine Karola Johanna Remke was born in Ibbenbueren on 14 August 1941. She entered the Congregation as a Candidate at St Immaculata Convent in Schlehdorf in April 1963 and as a Postulant in January 1964 making her Profession on 31 July 1965. 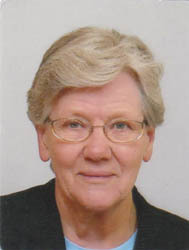 After many years at St Immaculata she came to South Africa as General Councillor in 1987. She returned to Germany on being elected German Provincial in 1999. In 2011 she was called back to South Africa to take her place on the Congregational Leadership Team, a position she held until her illness. Anna Johanna Windholz was born in Munich on 28 June 1931. She entered the Congregation in June 1952 at St Immaculata Convent where she made her Profession on 31 July 1954. She served the Congregation in Schlehdorf until her death at the age of 84. 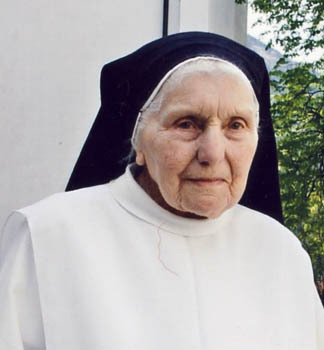 Sr Wendelina Huber died 12 March 2016 at St Immaculata Convent, Schlehdorf aged 92. 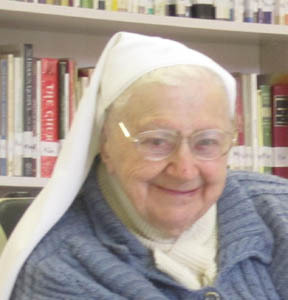 Sr Electa Rehrl died 16 March 2016 at St Mary's Convent, Hyde Park, Johannesburg aged 91. Katharina Rehrl was born in Oberholzen, Germany on 16 March 1925. She was received into the Congregation at St Immaculata Convent in Schlehdorf in July 1952 and was professed on 30 July 1953. She came to South Africa in 1953 and served in Convents in East London, Queenstown, Witbank, Belgravia, Johannesburg and Grobblersdal. 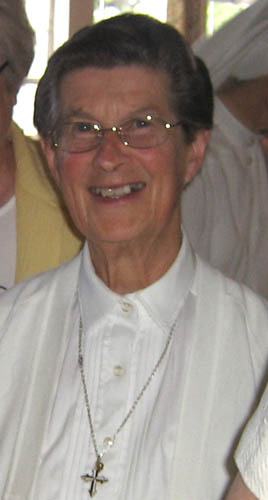 She retired at St Mary’s Convent in 1996. Sr Mauritia Haltmair died 2 May 2016 at Emmaus Convent, East London. Margaretha Anna Haltmair was born in Moosrain Kreis Miesbach on 12 July 1931. She entered the Congregation in March 1953 at St Immaculata Convent where she made her Profession on 5 January 1955. She served the Congregation in a number of Convents, among them in Klerksdorp, Nigel, Welkom, Johannesburg and Izeli until her death at the age of 84. Sr Audrey McNamee died 20 May 2016 at Our Lady of Fatima Convent in Tralee, Ireland. Madeline Dolores McNamee was born in Dublin. She entered the Convent as a Posutlant at St Albert’s Convent in Hinckley. She made her Profession on 16 April 1952. She taught for several years in South Africa at the Motherhouse and in Springs before returning to Ireland in 1976 to take up pastoral work. 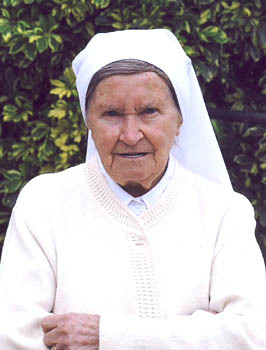 Sr Mary Coyle died 22 May 2016 at Our Lady of Fatima Convent in Tralee, Ireland aged 92. Mary Philomena Coyle was born in Claudy, Co. Derry, Ireland on 12 November 1923. She entered the Congregation in September 1943 and was professed on 25 August 1945. She began midwifery in South Africa in 1946 at the Mater Dei Nursing Home in East London and then at St Mary’s Maternity Home in Springs. She returned to Ireland for a few years in 1963 as Superior at St Philomena’s, continuing her midwifery. After a few years in South Africa she again returned to Ireland and took up Geriatric nursing at Our Lady of Fatima Home. 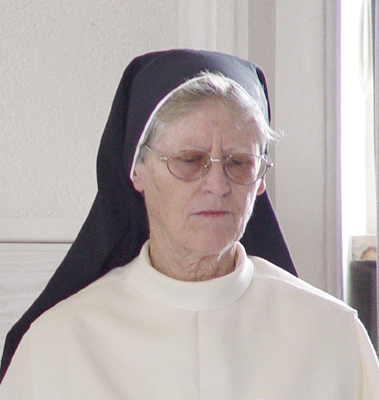 Sr Martha Pille died 30 May 2016 at St Immaculata Convent, Schlehdorf. Martha Pille was born in Holdorf, Germany on 28 September 1936. She enetered the Congregation as a Postulant in September 1956 and made her profession on 4 August 1958. She served in various Convents in Germany until her retirement in 2012 at St Immaculata’ Convent. Sr Mary-Jo Kenny died 19 August 2016 at Our Lady of Fatima Convent, Tralee, Ireland. Mary Josephine Kenny was born in Ballina, Co Mayo, Eire on 13 February 1924. She entered the Congregation as a Postulant at St Albert’s Convent, Hinckley in June 1949 and made her profession on 17 August 1951. She nursed in various Convent Nursing Homes in South Africa until her return to Ireland in 1968. She finally retired at Our Lady of Fatima Convent in 1998, where she remained until her death at the age of 92. Sr Lucia Donga died 1 September 2016 at St Mary's Convent, Hyde Park, Johannesburg aged 92. 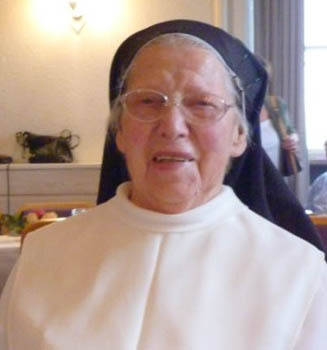 Sr Sigmunda Schnetzer died 19 September 2016 at St Immaculata Convent, Schlehdorf. Annelore Schnetzer was born in Eichelberg, Baden-Württemberg, Germany on 6 January 1930 and was received into the Congregation on January 1952 at St Immaculata Convent in Schlehdorf and making her profession on 11 January 1953. 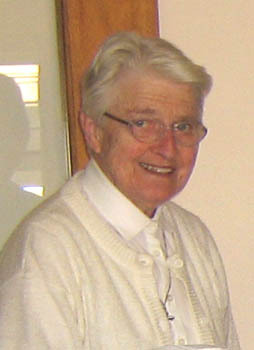 She taught in a number of the schools in Germany until her retirement at St Immaculata in 2008. Sr Bernadette Oelofse died 5 November 2016 at Emmaus Convent, East London. Mavis Elizabeth Oelofse was born in Port Elizabeth on 29 December 1942. She entered the Congregation in March 1975 and made her Profession on 22 December 1977. For many years she was Boarders’ Mother at the St Vincent School for the Deaf Hostel. 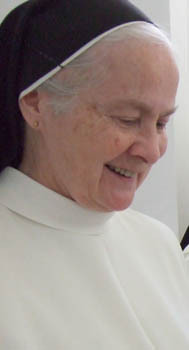 She retired in 2009 and moved to Emmaus Convent in 2012. 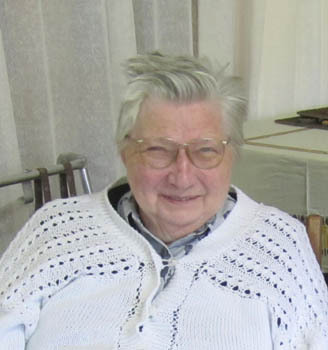 Sr Pauline van Turnhout died 4 February 2015 at the Nursing Home Boxmeer in Holland. 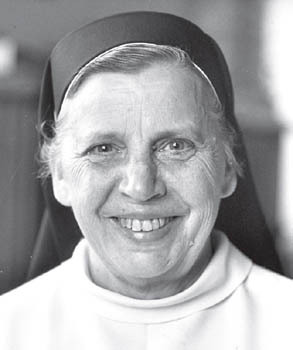 Maria van Turnhout was born in Langeweg, Gem Terheyden, Holland on 14 February 1925 and was received into the Congregation in January 1950 at Albertushof Convent in Venlo, making her profession on 26 May 1951. 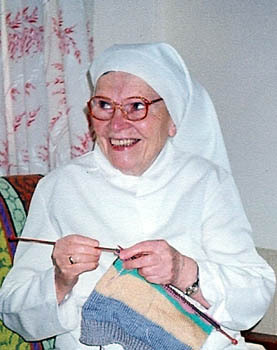 She came to South Africa in 1952 where she served the Congregation as Boarders Mother and taught needlework at various Convents including St Joseph’s Convent in Potgietersrus, St Anne’s Convent, San Salvador Home and the Convent of the Sacred Heart in Belgravia. In 1975 she returned to Albertushof Convent and studied Geriatric Nursing, serving the aged until her retirement. 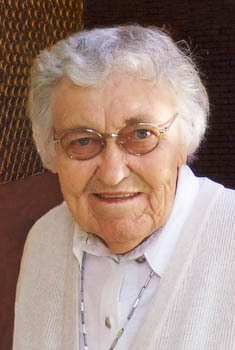 Sr Wilma Schiplage died 30 March 2015 at Emmaus Convent, East London. 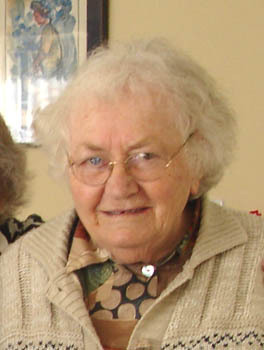 Hedwig Schiplage was born in Bakum, Kreis Vechta, Oldenburg on 21 December 1936. She entered the Congregation in Schlehdorf as a Postulant in September 1959 and made her Profession on 5 August 1961. 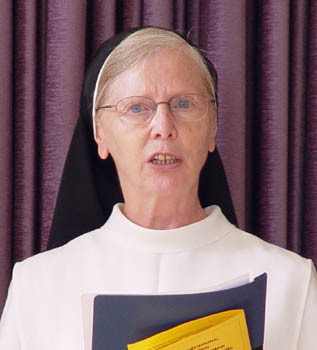 She came to the Motherhouse in 1962 to complete her schooling then studied to be a teacher. She taught in Cradock, Fort Beaufort, Graaff-Reinet, Welkom and Queenstown. 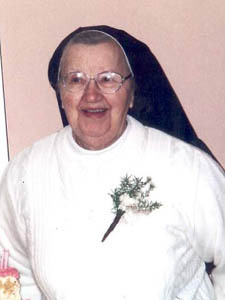 She retired in 2001 at Emmaus Convent where she died. 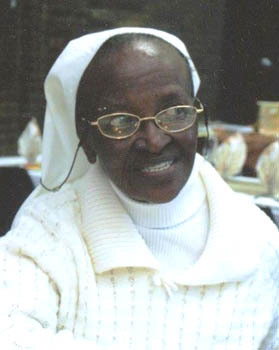 Sr Rosaria (Theola) Malinga was born in Kendal, Witbank District in South Africa on 1 July 1938. She entered the Congregation as a Postulant in the Maria Hilf Noviciate in January 1957 and made her Profession on 7 January 1959. 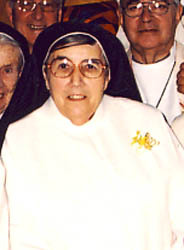 Sr Rosaria did Pastoral work in a number of Parishes. 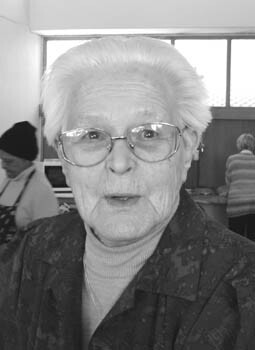 Sr Juanita Buis died 26 June 2015 at the Donald Gordon Nursing Home in Johannesburg aged 90. Alida Agatha Buis was born in Wervershoof, Holland on 28 August 1924 and was received into the Congregation in October 1944 at Albertushof Convent in Venlo, making her profession on 8 October 1945. She taught at St Albert’s Convent in Hinckley before coming to the Motherhouse in 1955 where she continued teaching, She then taught for two year in East London, moving to Klerksdorp in 1963 where she taught until in 1987 she was sent to Springs where she taught until her Retirement at St Mary’s Convent in 1997. Here she remained until her death. 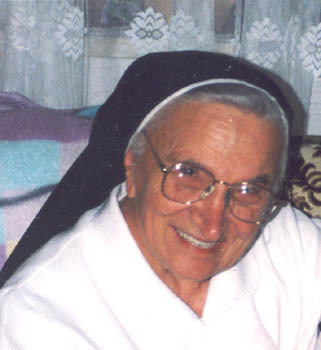 Sr Basildis Heinzelmann died 31 August 2015 at St Mary's Convent in Hyde Park, Johannesburg. 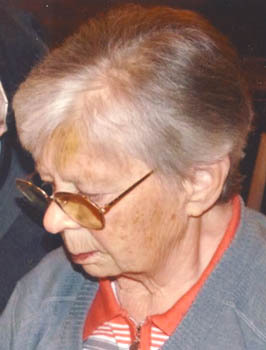 Hilda Maria Heinzelmann was born in Radolfszell on 13 April 1921. 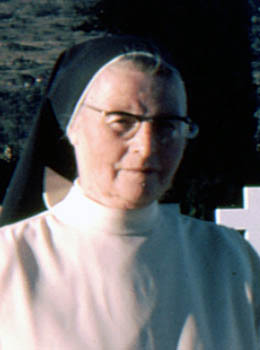 She was received into the Congregation in January 1940 and made her profession at Albertushof Convent on 14 January 1941. 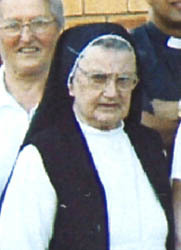 Sr Basildis came to South Africa in 1947 and taught at St Vincent School for the Deaf in Melrose, Johannesburg for many years. She retired at Bethany Convent and, when it closed in 2012, moved to St Mary’s Convent where she died aged 94. 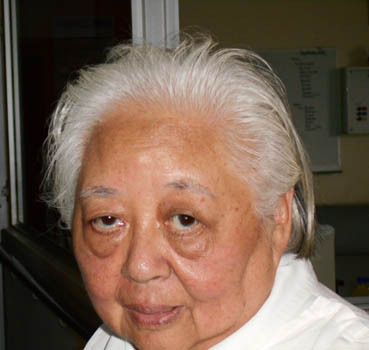 Sr Matthaëi van Hoek died 9 December 2015 at St Mary's Convent in Hyde Park, Johannesburg. Maria Elizabeth van Hoek was born in Mierlo, Noord Brabant, Holland on 2 March 1924 and entered the Congregation in May 1948 at Albertushof Convent in Venlo. She made her profession on 17 May 1950. She came to South Africa in 1951 and began her work as Boarders Mother at the Convent in Cradock, then East London and Izeli. She began teaching at St Hyacinth’s Convent in 1967 after which she taught sewing in Klerksdorp, Belgravia and Brakpan. In 1993 Sr Matthaei retired at Bethany Convent in Brakpan and, when it closed in 2011she moved to St Mary’s Convent where she remained until her death at the age of 91. 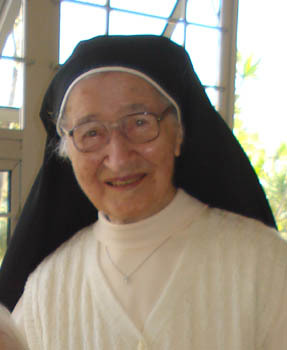 Sr Rogata was born on 9 August 1914. She entered the Congregation in Schlehdorf as a Postulant in February 1935 and made her Profession on 5 January 1937. She was vestrarian and taught sewing in the Convents in Belgravia, Potchefstroom, St Louis Bertrand Mission and St Pius Convent in East London. In 2001 she retired at Emmaus Convent in East London. 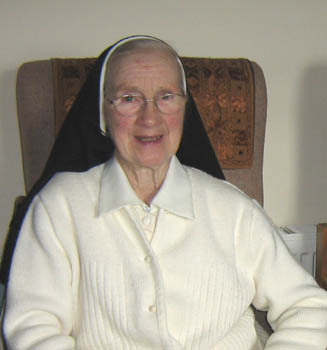 Sr Cornelia Pluk died 11 July 2014 at Hinckley Hospital in England aged 93. Gertruda Henrika Pluk was born in Merselo/Venray, Holland on 3 November 1921. She entered the Congregation as a Postulant at Albertushof Convent in Venlo in May 1945 and made her Profession on 8 December 1947. Sr Cornelia served in a number of Convents in South Africa before she went to England in 1976. She came back to South Africa in the early 1990s before returning to England where she remained until her death. Johanna Maria Bramlage was born in Darrenkamp, Kloppenburg, Germany on 24 February 1933 and entered the Congregation in August 1956 at St Immaculata Convent in Schlehdorf, making her profession on 4 August 1958. She came to South Africa in 1958 where she nursed at a number of the Convent Nursing Homes and Hospitals, including Berejena and Matibi in Zimbabwe. 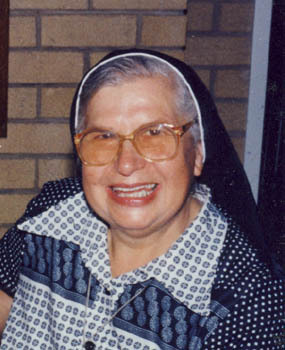 Sr Lioba spent the years before her death at St Mary’s Convent in Hyde Park, Johannesburg. 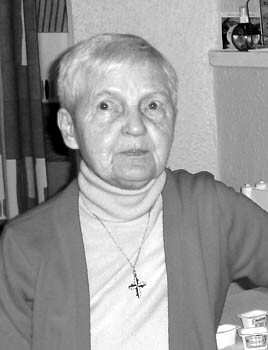 Maria Franziska Nienaber was born in Drantum Bei Emstek/Oldenburg on 17 December 1929 and entered the Congregation in 1951. She made her profession at St Immaculata Convent on 30 July 1953. She came to South Africa in 1954 and worked as Sacristan Vestarian and taught sewing in various Convents including those in Belgravia, St Mary’s in Hyde Park, Queenstown and Springs. She spent a number of years at the Mater Infirmorum and was semi-retired at St Catherine’s Home in Queenstown and finally moving to Emmaus Convent in East London until her death. 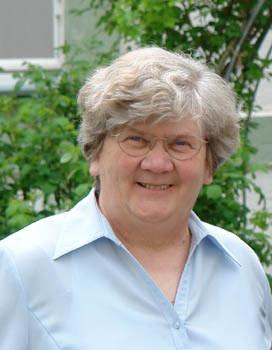 Kathalina Schmid was born in Zweikirchen on 24 June 1938 and entered the Congregation in April 1956 at St Immaculata Convent, Schlehdorf. She made her profession on 4 August 1958. 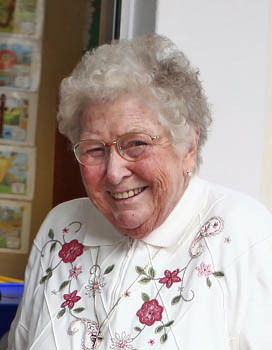 She taught Kindergarten for several years in Convents in Germany and later assisted with nursing. 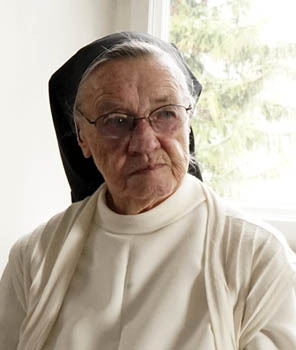 Maria Cäcilia Hammel was born in Basel, Switzerland on 13 February 1933 and entered the Congregation in July 1961 at Dominikushaus in Riehen. She did her Noviciate at St Albert’s Convent in Hinckley and made her profession on 8 August 1963. She taught at the school in Izeli, South Africa until 1970. She studied Spanish and went to South America where she taught at the Convents in Santo Domingo and Forestal, Santa Cruz. Here she ended her life. 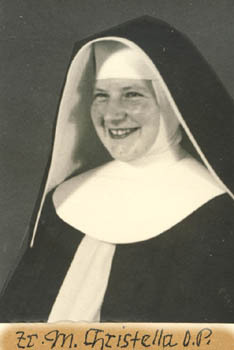 Elisabeth Anzinger was born in Hausberg, Germany on 1 May 1925 and entered the Congregation as a Candidate in April 1950 at St Immaculata Convent, Schlehdorf where she made her profession on 31 July 1952. Here she remained until her death just 4 months short of 90th birthday. Mampei Regina Seruwe was born in Kroonstad, South Africa on 13 October 1944. Shewas received into the Congregation in January 1965 and made her profession on 8 January 1966 She taught home craft and did pastoral work in various parish missions of the Eastern Cape until her death in Cradock. Rita Katharina Ruttinger was born on 30 August 1931. She entered the Congregation as a Postulant in March 1954 in Schlehdorf and made her Profession on 5 January 1956. She taught Kindergarten at the various Convent Schools in Germany. Sr Clementilla Schmid 8 February 2013 at St Mary's Convent in Hyde Park, Johannesburg. Sophia Schmid was born in Herretshofen, Germany on 22 February 1930. She entered the Congregation as a Postulant in October 1946 and made her Profession on 31 July 1949. She came to South Africa in 1950. 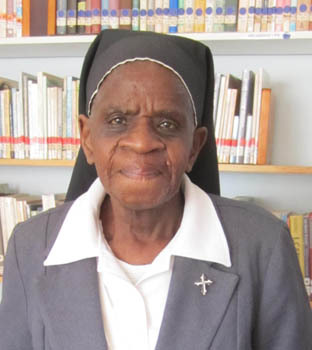 Sr Clementilla taught music in various Convents in South Africa, including Graaff-Reinet, the Motherhouse, Cradock and St Thomas Aquinas, Witbank before she retired at Bethany Convent until it closed in 2011. She then lived at St Mary’s Convent until her death. Mary Jean Frances De Chantal Kuhn was born in King William’s Town, South Africa on 14 June 1931and entered the Congregation as a Postulant in January 1949, making her profession on 18 July 1950. She taught at the Motherhouse, Our Lady of Mercy in Springs, Bl Imelda Convent in Nigel. For many years she was Principal at the Convent Schools in Springs and Belgravia. On her retirement as Principal from Dominican Convent in Belgravia she, with her team, founded the Kgosi Neighbourhood Foundation with a view to uplifting the communities of Belgravia and Jeppestown. One of the elements of the Foundation is a Pre-school and Grade R class called Wings of Hope which will prepare children for formal schooling. Kreszentia Triebenbacher was born in Inchenhofen, Kreis Aichach, Germany on 13 November 1937. She entered the Congregation as a Postulant in November 1948 in Schlehdorf and made her Profession on 3 February 1951. In 1951 she took up her nursing mission at the Mater Dei Private Nursing Home in East London. 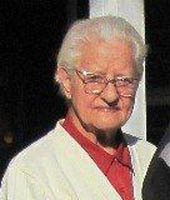 She worked at the various Nursing Homes of the Congregation until her retirement in 2001 at Bethany Convent in Brakpan. When it closed in 2011 she moved to St Mary’s Convent where she died two years later. 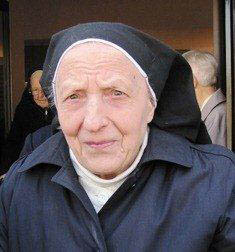 Sr Veritas Strasser died 10 October 2013 at St Mary's Convent in Hyde Park, Johannesburg aged 95. Maria Strasser was born in Geratskirchen in Oberbayern on 11 April 1918. She entered the Congregation as a Postulant in February 1933 and made her Profession on 5January 1936, Sr Veritas came to the Motherhouse in South Africa in 1936. Sr Veritas taught for many years at the Convent School in Klerksdorp as well at St Thomas Training College, Village Main, Holy Roasry Convent in Cradock, St Scholastica’s Mission and School, Tshitale and St Martin de Porres Mission Marapyane. In the 1960s she was Novice Mistress at St Francis Xavier Noviciate in East London. 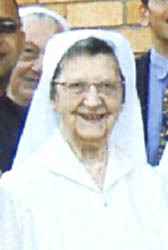 In 1998 she retired at Bethany Convent until it closed in 2011. She then lived at St Mary’s Convent until her death. 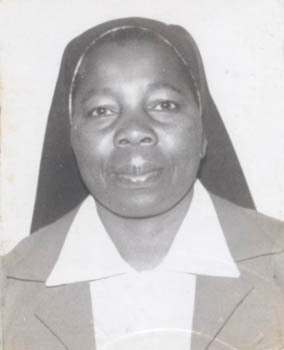 Lilian Cecilia Donga was born at Leeupan, Randfontein on 20 November 1931 and entered the Congregation as a Postulant in December 1951, making her profession on 29 June 1953 having received her education at St Thomas Training College in Village Main. She did pastoral work, teaching Catechism and taking care of the creche at various Missions in the Eastern Cape. Katharina Ferstl was born in Darshofen, Germany on 6 April 1910. She entered the Congregation as a Postulant in January 1931 in Schlehdorf and made her Profession on 28 June 1933. At the outbreak of the Second World War in 1939 she was sent to Albertushof in Venlo. In 1948 she was sent to St Albert’s Convent in Hinckley, England where she remained for many years until her return to Germany in the 1980s. Gertruda Elisa Hamakers was born in Tegelen, Holland on 8 November 1924. 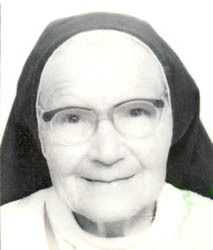 She entered the Congregation as a Postulant in June 1947 at Albertushof in Venlo, making her Profession on 16 January 1949. In 1949 she came to South Africa where she began her nursing vocation at Glen Grey Mission Hospital in Lady Frere. She worked also in the Umlamli Mission Hospital, Sterkspruit in the Diocese of Aliwal North and the Mater Dei Private Nursing Home in East London. In 1992 she retired at St Mary’s Convent in Hyde Park. Maria Hurth was born in Blickweiler, Germany on 8 July 1918. She entered the Congregation as a Postulant in July 1935 at St Immaculata, Schlehdorf, making her Profession on 28 June 1937. Sr Evodia came to South Africa in 1937 where she began teaching at the Motherhouse, Bl Imelda and St Thomas Aquinas. She returned to Germany in 1950 where she remained until her death. Johanna Gertrude Huberta Ewals was born in Venray, Nederland on 11 February 1922. She entered the Congregation as a Postulant in December 1943 at Albertushof Convent, Venlo, making her Profession on 8 October 1945. After working for a few years at Rosary Cottage in Upton, Ireland, Sr Christella came to South Africa in 1951. She worked in many of the Convents of the Congregation, including St Catherine’s in Queenstown, Fort Beaufort, Ermelo, Potgietersrus, Bl Imelda’s in Brakpan, Klerksdorp, Middelberg C.P. and St Pius in East London until her return to Holland in 1993 where she retired from active service. Katharina Waldner was born in Stuttgart, Germany on 23 September 1915 and was received into the Congregation in June 1936 at St Immaculata Convent, Schlehdorf. She made her profession on 28 June 1937 and came to South Africa in the same year, continueing her musical studies. She taught music in various Convents in South Africa, including the Motherhouse and the Convents in Cradock, Springs, Nigel, Stutterheim, East London and Witbank. She retired in 1990 at St Pius Convent in East London. Rosa Andelfinger was born in Rosna, Sigmaringen Germany on 19 September 1913. She entered the Congregation as a Postulant in July 1937 in Schlehdorf and made her Profession on 28 June 1939 and came to South Africa in the same year. Sr Gundisalva served in a number of Convents including the Convents in Queenstown and Izeli, until her retirement at Emmaus Convent in East London. Maria Theresilla Worle was born in Scherstetten, Germany on 8 July 1917. She entered the Congregation as a Postulant in January 1935 and made her Profession on 28 June 1937. She came to the Motherhouse in South Africa in the same year, where she studied for three years. She began teaching at St Thomas Aquinas Convent School in Witbank and Our Lady of Mercy Convent School in Springs. Subsequently she taught in the various Convent Schools in East London, King William’s Town and surrounding areas until her retirement from active teaching in the early 1990s at St Pius Retirement Home in East London. Rosalia Huber was born in Lauterbach, Germany on 22 December 1925. She entered the Congregation as a Postulant in October 1945 at St Immaculata Convent in Schlehdorf and made her Profession on 31 January 1948. Sr Gonzaga remained in Schlehdorf, teaching crafts at the Convent School. For some years she was also Principal there. Stephanie Schneider was born in Munich, Germany on 26 December 1917. She was received into the Congregation in June 1940 at St Immaculata Convent in Schlehdorf and made her Profession on 11 January 1942. 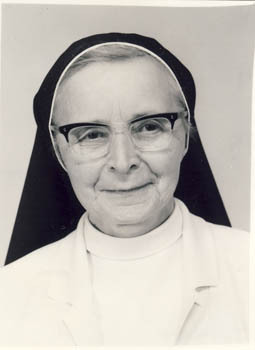 In 1950 she took up her teaching post at St Albert’s Convent School in Hinckley, England, where she continued teaching and as Superior for many years. In 1983 she returned to Germany and taught at Johanneskolleg in Munich. Sr Edwin retired in 2001 in Schlehdorf. Martha Maria Gasper was born in Oberhausen, Germany on 12 January 1913. She entered the Congregation as a Postulant in April 1947 at St Immaculata Convent in Schlehdorf and made her Profession on 1 February 1949. For many years Sr Gottberta taught in the Convent Schools in Germany. In 1975 and 1976 she spent time in Mission Work at the Dominican Missions in Ecuador, South America. On her return to Germany she assisted with work on the periodical magazine ‘Kontinente’. Julia Josephine (Sheila) Curran was born in Tarmon, Blacklion, Co. Cavan, Ireland on 20 April 1926. She entered the Congregation as a Postulant in March 1943 at St Albert’s Convent in Hinckley and made her Profession on 7 January 1945. 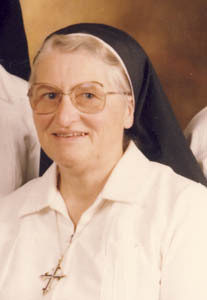 Sr Louis B, as she was fondly called, spent all her Convent life Teaching in the two Convent Schools, St Albert’s in Hinckley and St Martin’s in Stoke Golding, England. For a number of years she was Principal at St Martin’s. In the 1990s she served as Councillor in the Western European Area. Antonia Richter was born in Gescher I. Westf., Germany on 13 April 1948. She entered the Congregation as a Postulant in April 1969 at St Immaculata Convent in Schlehdorf and made her Profession on 6 January 1971. For a number of years she worked on the Missions in Ecuador and from 1988 served the Congregation as Provincial Bursar in Schlehdorf. Maria Steiger was born in Harthausen, Rheinpfalz, Germany on 7 July 1918. She entered the Congregation as a Postulant in January 1940 at St Immaculata Convent in Schlehdorf and made her Profession on 11 January 1942. 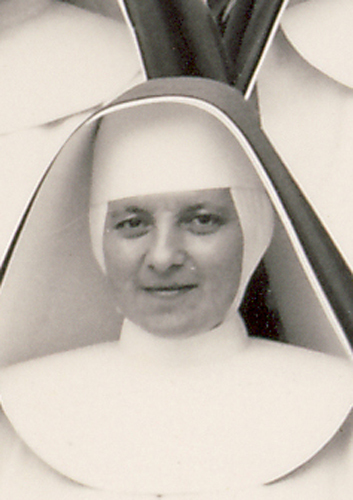 From 1948 Sr Hildegard nursed at the Mater Dei Private Nursing Home in East London. She worked in Administration at the Umlamli Mission Hospital, Sterkspruit in Aliwal North Diocese and St Catherine’s Nursing Home. In the 1960s and 1970s she served as General Bursar for the Congregation, living at Lourdes Convent in Park Town, Johannesburg. 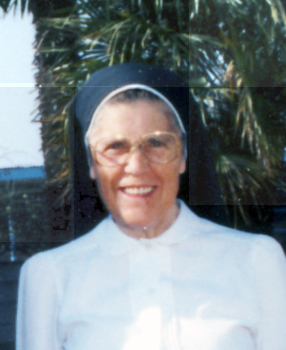 From 1981 – 1987 She served as Bursar at Our Lady of Fatima Convent in Tralee. On her return to South Africa in 1988 she served as Bursar until her retirement at St Pius Convent in East London in 1992. 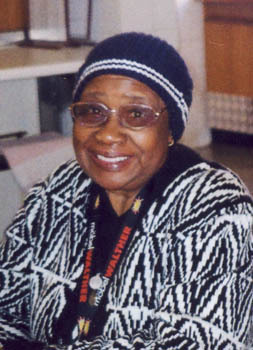 Mary Emma Ntliziywana was born in Umhlanga, Indwe, South Africa on 1 November 1938. She entered the Congregation as a Postulant in December 1957 and made her Profession on 8 January 1960. Her years were spent in teaching and Catechetical work on the Missions of the Eastern Cape until her retirement due to ill health in 2001 at St Pius Convent in East London. Theresa Senz was born in Dirgenheim, Germany on 5 July 1913. She entered the Congregation as a Postulant in January 1933 and came to the Motherhouse in King William’s Town in 1934. Sr Justa made her Profession on 28 June 1934. She taught for a number of years at the Schools in the Eastern Cape. in 1962 she went to the Transvaal where she taught at the Convent Schools in Nigel, Brakpan and Springs until her Retirement at Bethany Convent and then St Mary’s Convent. Bridget Agnes Durkan was born in Co Mayo, Ireland on 10 June 1914 and entered the Congregation as a Postulant in July 1935 at St Albert’s Convent, Hinckley. She made her profession on 4 January 1937. She came to the Motherhouse in South Africa in 1935 where she studied for her Teachers’ Certificate. She taught at various Convent Schools in South Africa, including Our Lady of Mercy in Springs, St Agnes Convent in Welkom and in Queenstown before going to St Albert’s Convent in England in 1962, where she was Superior and taught until her return to South Africa. She taught at the Convent of the Sacred Heart in Belgravia until her retirement in 1985 at the Motherhouse in King William’s Town and remained there till its closing in 1996, when she moved to Emmaus Convent in East London. Here she died. Elizabeth Cecilia Raphuthing was born in Kroonstad on 2 November 1935. She entered the Congregation as a Postulant in January 1958 at Maria Hilf Convent and Noviciate and made her Profession on 10 July 1960. Margit Niedermann was born in Niederuzwiel, Switzerland on 16 March 1934. She entered the Congregation as a Postulant at Dominikushaus in Riehen in June 1952 and made her Profession at St Albert’s Convent in Hinckley on 30 June 1954. 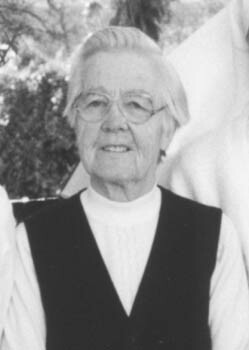 She came to the Motherhouse in 1954 where she took up studies and teaching. For a number of years she taught at Sacred Heart Convent in East London, St Agnes Convent in Welkom, Khaya Maria Convent as Superior and other Convents in the Eastern Cape. In later years she did pastoral work and catechetics until her retirment at Emmaus Convent. Walburga Wittwer was born in Vorderhindelang, Germany on 13 October 1907 and entered the Congregation as a Postulant in May 1930 at St Immaculata Convent, Schlehdorf. 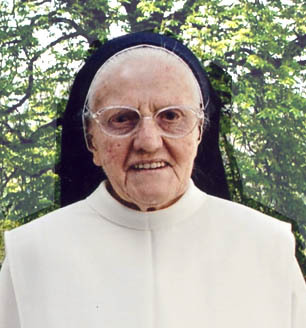 She made her profession on 5 January 1933 and came to the Motherhouse in South Africa in the same year. She worked at the Motherhouse for a number of years and then was sent to the Convent in Potchefstroom. She worked also at the Umlamli Mission Hospital, Sterkspruit in the Aliwal North Diocese and at the Mater Infirmorum. In 1992 she retired from active duties at Emmaus Convent. 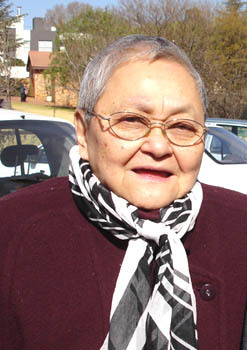 Lily Lee Sun was born in East London on 24 August 1933. She entered the Congregation as a Postulant in February 1963 at the Motherhouse and made her Profession on 6 January 1965. She spent some years teaching at the Convent Schools in Eldorado Park, Belgravia and Springs and also taught at the Chineses Schools in these areas. Irene Maria Hahn was born in Stuttgart, Germany on 17 December 1920. She entered the Congregation as a Postulant at St Immaculata Convent, Schlehdorf in November 1952 and made her Profession on 31 July 1934. She Taught for a number of years at the School in Schlehdorf before coming to South Africa in 1976. She spent a number of years at St Scholastica’s Mission in Tshitali (Setali) before returning to Schlehdorf as Superior in 1982. Marianne Baumgartner was born in Winterthur, Kt Zurich, Switzerland on 19 April 1918. She entered the Congregation as a Postulant in September 1948 at the St Albert’s Convent, Hinckley and made her Profession on 16 August 1950. In 1951 Sr Nicolette came to South Africa to teach at St Hyacinth’s Convent School in Nigel. She subsequently taught in Witbank, Potgietersrus, Cradock, Springs, Klerksdorp and Kliptown. In the 1980s she spent six years as Superior at the Mater Infirmorum Convent Sanatorium and then helped out at St Rose’s Convent and Creche in Cradock. In 1996 she retired at St Pius Convent, then Emmaus Convent for a short while and subsequently moved to St Mary’s Convent where she died a few years later. Elisabeth Singhammer was born in Haag Bei Weildorf, Oberbayern on 27 November 1907. She entered the Congregation as a Postulant at St Immaculata Convent, Schlehdorf in March 1927 and made her Profession on 30 October 1928. She came to the Motherhouse in King William’s Town in the same year where she studied and taught. In 1939 she began her long term of teaching at the Convent in Izeli, having a break from 1956 at St Anne’s Convent in East London and the Convent of the Sacred Heart in Graaff-Reinet. 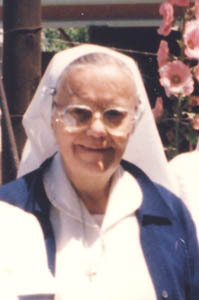 In 1968 she returned to Our Lady of the Rosary Convent in Izeli, remaining there until called as General Councillor to Lourdes Convent in Park Town in 1975. in 1981 Sr Bertrand went to St Catherine’s Nursing Home in Queenstown, where she helped with nursing the ailing Sisters until her retirement some years later. She eventually moved to Emmaus Convent where she remained until her death. Hildegard Katharina Kleinboelting was born in Düsseldorf-Reisholz on 3 May 1934. She entered the Congregation as a Postulant in May 1960 at the St Immaculata in Schlehdorf and made her Profession on 5 January 1963. She came to South Africa where, in 1964, she continued her studies at the Convent of the Sacred Heart in Fort Beaufort and became a Commercial Teacher. She taught at the Schools in Ermelo, Potchefstroom and Klerksdorp before returning to Germany in 1974.